Change can be difficult. There will be new faces and new names at Viewlands this year. However, I don’t plan or see big changes to our school culture. We will continue to stress being Safe, Kind and Helpful and recognize our Honorable Orcas. We will continue to have high expectations for students, challenge ourselves and learn from our mistakes. It will be different for me to not be in the cafeteria every day talking with students. But I do plan to continue to know each student by name. If students have ideas about how to make our school better, I am here to listen! Yes. I can’t imagine doing this job anywhere else. I love the students, staff and families at Viewlands! I, too, love cats but I don’t think we can change our mascot at this point. We have too many tee shirts, pictures and materials reflecting Orcas. And it is in our school song as well. Archie is going to a different school, but he will be stopping by. As will his sister who is excited to start preschool. That is a tough question. I’m in a book club with friends now. I love that it pushes me to read different types of books that I normally wouldn’t choose. I don’t think I can pick my favorite. But I love to read books that teach me about other cultures and important events from the past. I have two pets. George the cat and Bob the dog. My son really wants a peregrine falcon. Apparently they fly really fast. My favorite game to watch is football. My favorite game to play with my children is kickball. My absolute favorite is doing puzzles. My son and I usually do a 1000 piece puzzle a week. I am open to this. During the 2018-2019 school year I became a Viewlands Orca! In my first few months at Viewlands I quickly learned that the drafty cold outdoor hallways are far different than the warmth of this hard-working diverse community! I love being the assistant principal at Viewlands! I have worked in Seattle Public Schools for 16 years. During those 16 years I have worked primarily in special education as an occupational therapist and special education career ladder mentor teacher. I have been fortunate to take on leadership roles for different projects within the district in service of students, developing family partnerships, and service delivery within special education and advanced learning. Supporting students and teachers in the pursuit of a love for learning is my ultimate passion! Viewlands is a diverse community that values outdoor educational opportunities, community involvement, and building authentic relationships with students and families as the foundation to academic success. I am excited to be here and share these educational values! As part of Viewlands I am committed to our community and to continuing to learn and grow as an instructional leader. When I am not at Viewlands, I enjoy spending time with my family, taking photographs, spending time in the mountains, and baking! My two children are Seattle Public School students and keep our family constantly in motion! A few favorite questions students at Viewlands have asked me repeatedly may help shed light on what is important to them! We have one cat named Luna. We are considering adding a dog to our family. My daughter, Zoe, is working hard on her persuasive skills by flooding us with convincing arguments as to why we should get a dog! I will keep you updated! Yes, I love sports and played sports growing up. I played basketball and volleyball when I was in school. I think sports helped me learn many things but most important I learned the importance of commitment, team work, and how to persevere even when things were tough! I love cheering on students in all their sporting endeavors! My kids love sports too, so I get to spend lots of time being part of their chauffer team and fan club! I love orcas! I think we are privileged to share the Pacific Northwest with the orcas. I was excited to become a Viewlands orca! I also love cats and bears but I would never want to forget the history of how and why Viewlands became the orcas! My favorite genres of book are realistic fiction books, memoirs, and mysteries. I love snuggling in a cozy blanket next to a warm fireplace when it is cold and rainy outside to read a great book! There are too many amazing books to choose a favorite. I have wanted to work with kids for a long time. The joyful bliss of children learning and playing together is contagious and spreads like wildfire. It brings me great joy to be part of that. However, when I was in elementary school I thought I wanted to be a marine biologist. I loved dolphins and thought learning from them would be so much fun! I know this seems like the easy answer, but I truly do love lots of different types of music. My family lived in several different parts of the United States growing up, Iowa, Louisiana, and Wyoming. This influenced the music I was exposed to in my community. I love listening to modern day folk music, the blues, Creole Zydeco, Irish, some pop music, rock-n-roll, and country music. I admire musicians as I don’t carry a tune well and don’t play any instruments. This, of course, does not stop me from jamming out in the car sometimes! In addition to teaching at several Seattle area schools and El Centro de la Raza, Mary K directs the beginning level choir of the Pacifica Children’s Choir, she leads a local children’s performance group that sing songs of peace – called “Children of Peace” (www.childrensingforpeace.org). Mary K also led the Seeds of Compassion Choir, consisting of 1800 children and adults who sang for His Holiness, The Dalai Lama in 2008 and she teaches each summer at the Middle East Peace Camp. 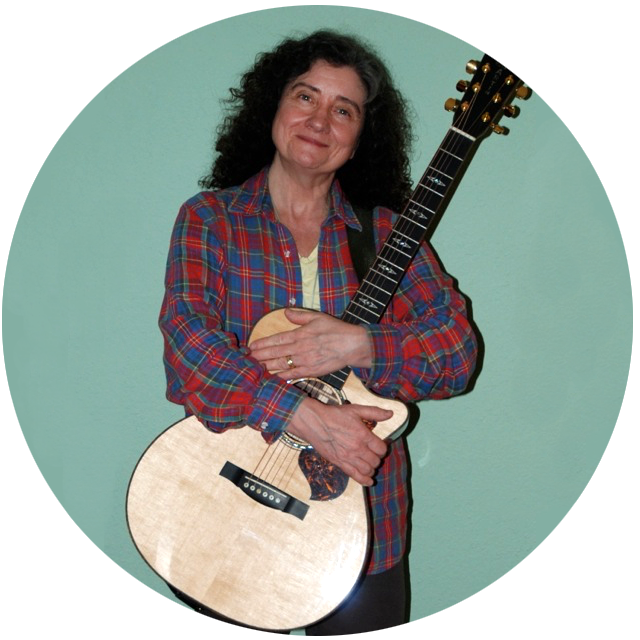 Her true passion is giving children a voice through music to spread the message of peace. Yes! There are always new songs to sing. Since my first cry as a baby. Just like you. Whatever song I’m singing is my favorite for that moment. I have a motto: “Life is too short to sing a song you don’t love.” So all the songs I bring to share with you dear precious children are all my favorites. My favorite instrument is the piano because I started playing it in elementary school and never quit – so I’m pretty good at it. Yes. I have a magical cat. Her name is Bubo. I have loved teaching at Viewlands for the last four years. Before I came to Seattle and Viewlands I graduated from Washington State University – GO COUGS! After college, I taught in Spokane, Washington where I was born and raised. I came to teaching with my heart set on sharing and inspiring a love and joy for learning. Education is such an incredible gift that I want every student to enjoy. I firmly believe that there is an element of fun in learning and finding the fun for each student is what excites me each morning. I truly love knowing, learning, and working with Viewlands students and staff, and could not be prouder to be an Orca. My husband, Kevin, and I live in Bellevue. When we are not working, we enjoy reading, hiking, spending time with our families, and playing with our two purrfect cats. Yes! I have played the piano all my life. I enjoy reading and playing music. My favorite music to play is Disney music, or any song I can sing along to. My favorite movie is Anastasia. My mom, sister, and I just got back from a trip to New York where we were able to see Anastasia on Broadway! Best. Day. Ever. This year, I will spend my Spring Break in Sunriver, Oregon. I like to hike, bike, and ski while I am there. My husband, close friends, and I will be spending the week there playing board games and exploring the area. I usually answer this questions by saying my favorite book is the last book I read. I love reading! If I had to choose, I would say my favorite books are the books in the Harry Potter series, by J.K. Rowling. The Goblet of Fire (the 4th book) is my favorite. My favorite subject in 5th grade was science. My science teacher, Mr. Dykstra, is the reason I wanted to be a teacher. He made science so engaging and I wanted so badly to grow up to be a teacher like him. When I was a little girl I thought that I wanted to be an archeologist. I imagined that I would be like Indiana Jones and find all kinds of hidden and lost treasures. Also, my parents have home videos of me when I was 9, playing with a teacher Barbie, and playing school with my younger brother and sister. Being an older sister, teaching has always been a part of my nature. Cats. I love seeing big cats at the Zoo and learning about big cats. I love playing with and snuggling my cats. I have two brother cats who are 1.5 years old. They are the sweetest of friends. I love living in Seattle and working at Viewlands. 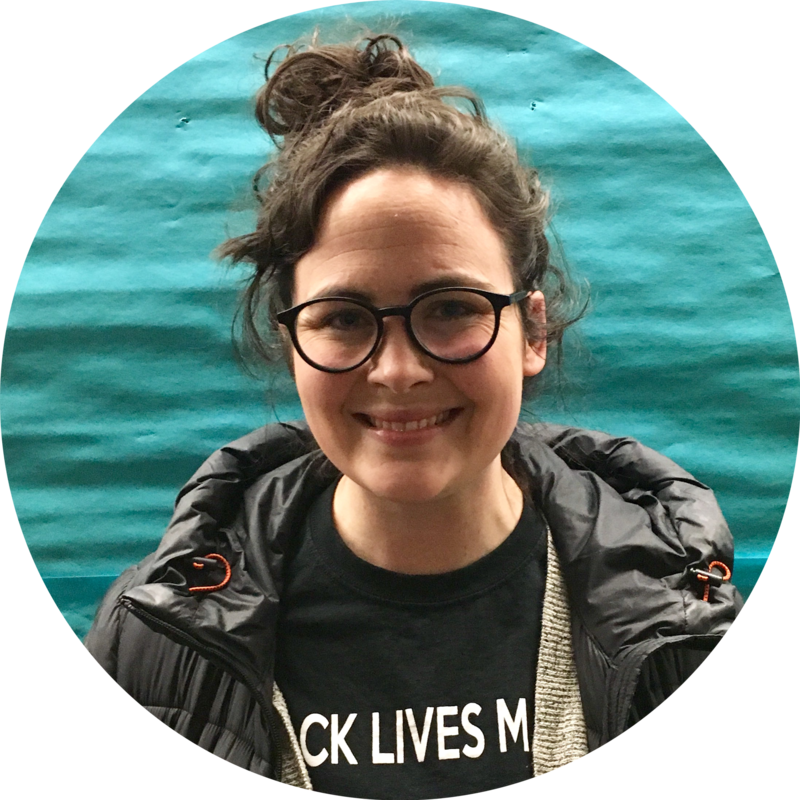 Last year, I worked at Broadview Thomson K-8 in the 3rd grade while I completed my Master’s in Teaching through the Seattle Teacher Residency Program and the University of Washington. I also completed my undergraduate degree at UW too! I believe in public education and want to be part of the change in improving it and making it more equitable. I feel a great amount of responsibility to provide exemplary instruction to all students. l love learning with and supporting young people and seeing their growth academically, behaviorally and socially. I cannot imagine a more fulfilling job. Growing up, I moved up and down the West Coast, but went to middle and high school in Port Townsend, WA. I worked as a language teacher for two years in a public high school in Kobe, Japan through the Japanese Exchange and Teaching (JET) Program. This position gave me the opportunity to co-teach and learn from multiple veteran teacher and engage with another culture and community. In my free time I enjoy relaxing with my husband and two cats. I love knitting, reading and watching movies with a cup of tea or coffee or exploring Seattle. My friends and I enjoy going rock climbing and on hikes around Washington. I really enjoy knitting, yoga and going on hikes. I also love trying new recipes and cooking. I have two wonderful cats and I do not have a favorite although I think Van Gogh (he only has one ear) likes me best. One is a mix and one is a Lynx point (Siamese and Tabby mix). I absolutely LOVE dogs, but don’t live in an apartment that is large enough or one that allows dogs yet. My favorite color is green and my favorite food is vegan ramen. I played basketball and volleyball in middle school and high school. I loved playing both of these sports most when I was younger, but mostly run, hike and do yoga now. We start camp Monday April 23rd and leave on Thursday, April 26th. We’ll return from spring break and have a week of school before we leave for camp the following week! It will take about an hour and a half to get to Islandwood. I’m excited to take a ferry with everyone. Um, no…we’re at camp to do MUCH more than sit in a cabin. We will not be in class in the same way we are at school each day. We will be learning all week though! I was born in Atlanta, Georgia and moved to Seoul, Korea, when I was two years old. I lived there until I moved to Washington to go to college. I have a younger sister who works for ESPN and an older brother who teaches high school in Oakland. My father grew up in the Bay Area and taught all his children to be bay area sports fans. I am married and have a daughter and dog. We try to spend all our free time travelling and are looking forward to our trip to Italy this summer. I started teaching in the fall of 2000. I am very allergic to cats, but my favorite breed is a Russian Blue. I have three: Civil War, Black Panther and Antman. It all depends on the genre. This is who I am listening to know: James Carter (jazz), Stravinsky (classical), A Tribe Called Quest and Kendrick Lamar (Rap), and I rediscovered an old band I used to listen to The Flat Duo Jets. Yes, a dog named Hugo. I got married in 2003 and my birthday is September 25th. A Vizsla. It was the first dog I got as an adult. Norma Andrade teaches Fourth Grade and comes to us from another SPS school. Sarah Bianchi is our new Occupational Therapist working with Jill Zyvoloski. Nina Machuca joins our team as a Spanish speaking Instructional Assistant. Le Ngo is our primary grades Special Education resource teacher. 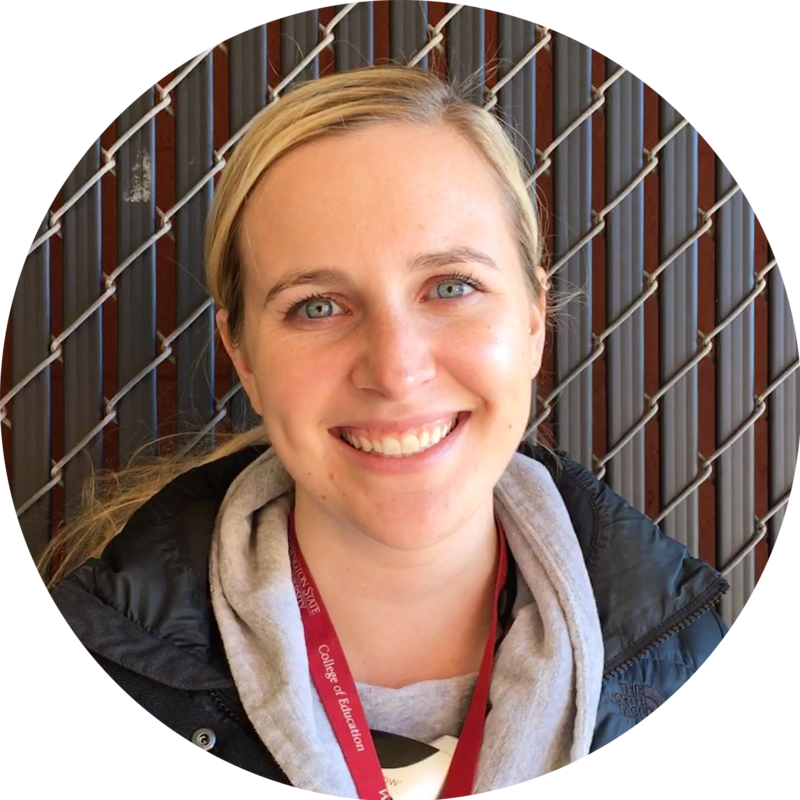 Caitlin Rich will be teaches Fifth Grade and recently completed her Seattle Teacher Residency. Alison Samuels teaches Fourth Grade. She previously taught in Maryland. 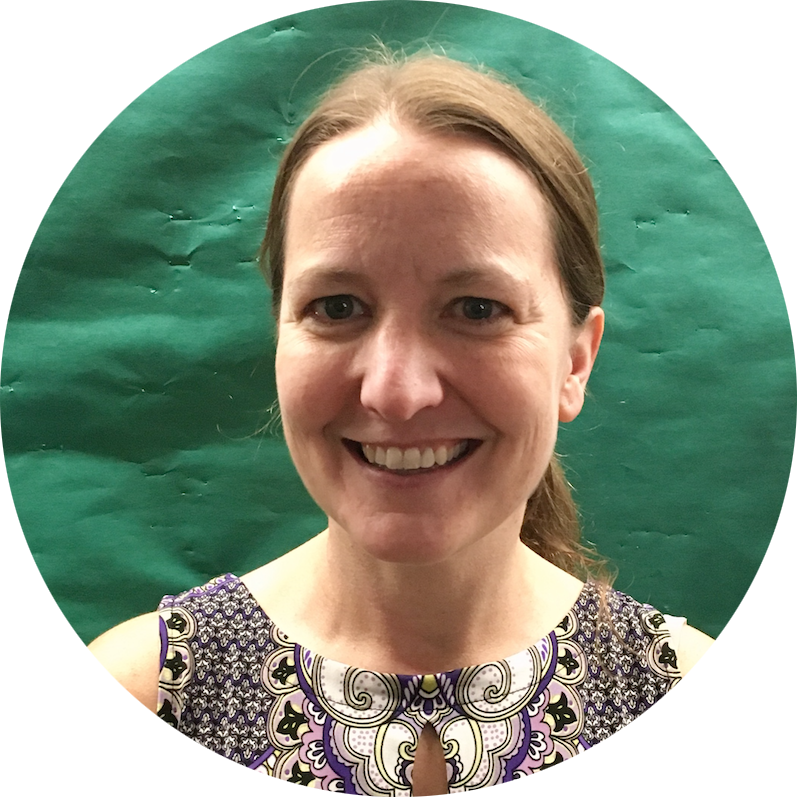 Christine Simonitch joins Ms. Dover as a Speech and Language therapist. 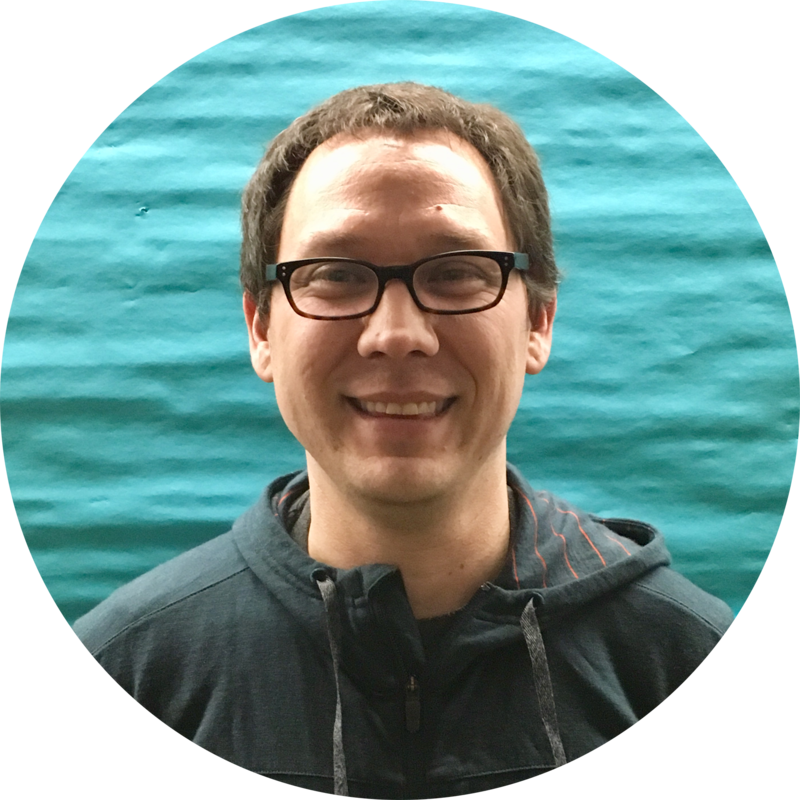 Scott Skoglund is our new School Nurse and will be here Mondays and alternating Wednesdays.